Bolivia joined the list of countries where the Internet.org application is available late last week. Facebook co-founder and CEO Mark Zuckerberg announced in a Facebook post Friday that subscribers to the Viva network in that country will gain access to the free basic Internet services provided by the app. Less than one-half of Bolivia uses the Internet today, so offering people free services for health, education, communication and local information will help introduce them to the entire Internet. Here’s a photo (below) of Xiomara Zambrana. She used the Internet to launch a social media campaign called Mi Arbol–My Tree–to encourage people to plant trees and help Bolivia’s Environmental Ministry fight deforestation. As a result, 50,000 trees were planted in communities across the country. When more people in Bolivia are connected, more people will be empowered to make a change in the world. Readers: What country do you think is next for the Internet.org app? 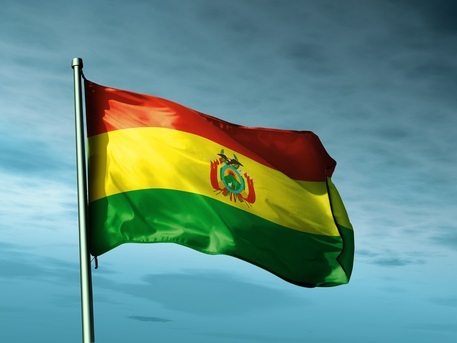 Image of Bolivian flag courtesy of Shutterstock.